TEN’s new drama Party Tricks, will premiere on Monday, October 6, at 8.30pm. In this timeslot it should go up against Big Brother, Four Corners (edit: and The Blacklist). It’s the same time that Secrets & Lies struggled earlier this year, but that was against the might of My Kitchen Rules and Love Child. Airing in October, the 6 part drama will also air in the run-up to the Victorian election, due November 29th. 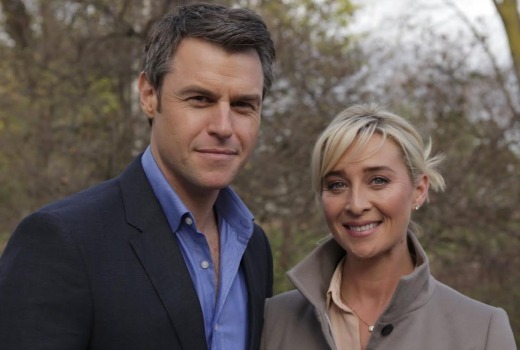 Asher Keddie features as Victorian State Premier Kate Ballard, pitted against shock new opponent and popular media personality David McLeod (Rodger Corser) in an election campaign that has Australians on the edge of their seats. Both share a secret history, which threatens to be exposed as the ultimate political trump card. The series comes from the Offspring team, writer Michael Lucas and producers Imogen Banks and John Edwards. Really looking forward to this show. It looks really good in the promos. Still don’t understand why Secrets & Lies didn’t rate better, it was a brilliant show. Same with 24, it rated it’s socks off in the US. Don’t understand our TV viewing audience sometimes. Things are looking much blacker for it now. @Pertinax – what are you flapping about, you seen HYBPA? ratings as they are through the roof for ten. I like the 6 parts – more drama should come in this format. Monday 8:30pm has been the slot of death for Ten. ABC’s current affairs has has a loyal audience and Seven and Nine take most of the <55s with lead-ins from their talent shows. Seven and Nine don't have much on at the moment so it will only have to contend with the effect of the staggered programming. Hmmm. Secrets & Lies bombed in that timeslot. What will its lead-in be? Great! Something to watch on Monday night. Been void of things to watch in the evening since ten stopped airing offspring reruns at 2pm daily. Finally something to watch on channel 10 ever since Offspring finished! Great news I will look forward to it! Anything with Rodger Corser in it I’ll watch, so can’t wait to tune in. Yea look I’ll give it a go – even though I can’t stand Asher Keddie. I do think Rodger Corser is a good actor. But I will record it though, as I do with most shows these days.